So far we’ve done all of our work in a single scene. 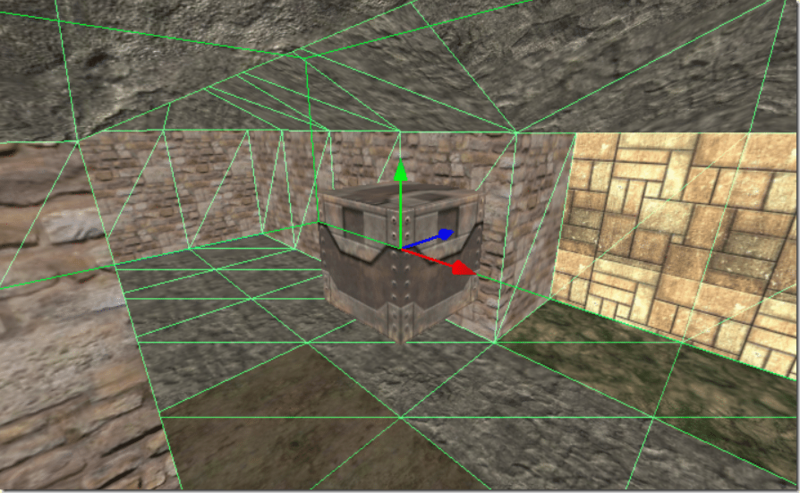 Generally however your game will be composed of multiple scenes. Let’s look at how you can create additional scenes and transition between them. 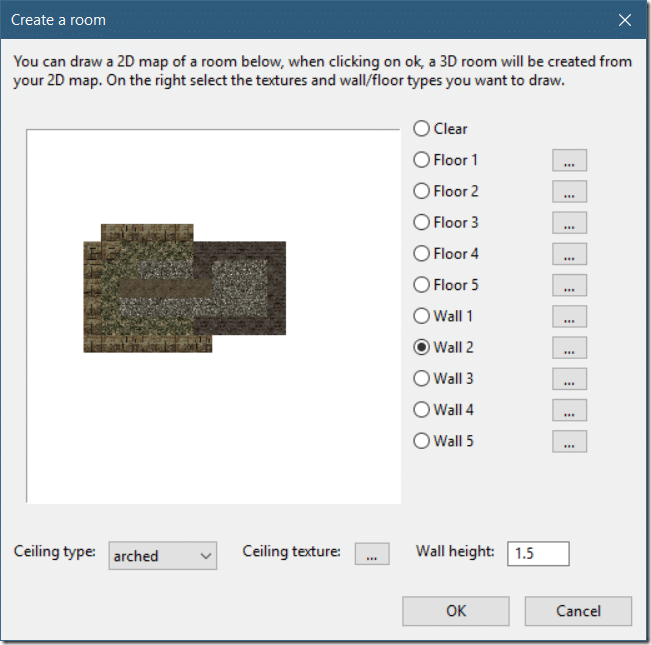 Then we will look at an interesting tool enabling you to create indoor scenes using a 2D drawing. 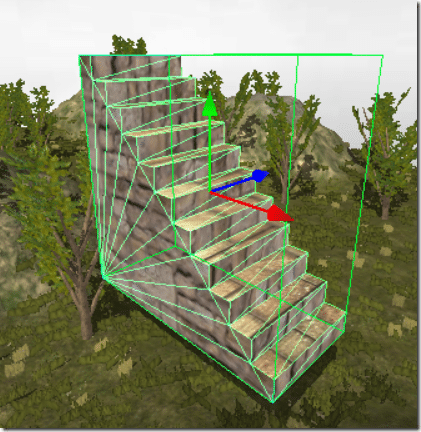 Let’s create a magic stairway that transitions to another scene. 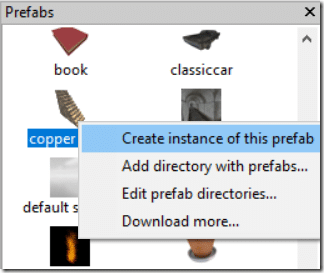 In your scene, in the prefabs section, locate the Stairs, right click and select Create instance of this prefab. In the Scenes tab, select the Settings button. Rename your scene to something that makes sense. 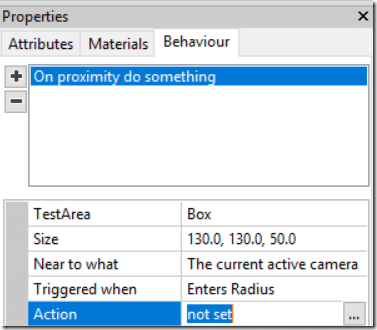 Set the Near to what field to The current active camera, Trigger when to Enter Radius. Now we set the action to Cameras and Scenes->Switch to another scene. Now play your game. When you camera moves within the boundaries of the staircase, boom, the other scene is loaded.